Martin Luther King was one rad dude, and we think that if he shredded the gnar, Sierra-at-Tahoe would definitely be his home. Thanks to activists like Dr. King, we strive for a world in which people of all origins and abilities can connect. At Sierra, it doesn’t matter if you ski or snowboard (or even ride one of those ski trikes), everyone is welcome. Come connect with us this holiday weekend to celebrate new snow, challenge yourself to master a new sport, and partake in some awesome events! Speaking of new snow, Tahoe is having a fantastic winter season. 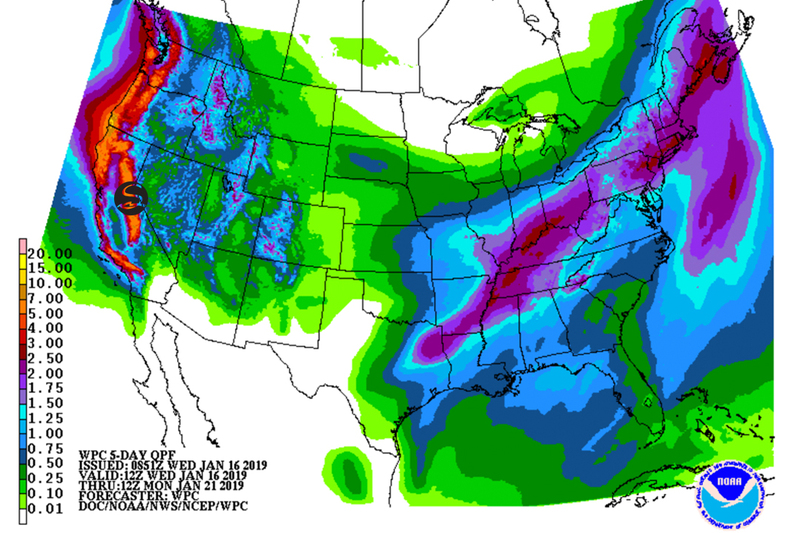 Check out that 5-Day Precip Model! Forecasts are calling for multiple FEET to fall by Friday before clearing out - just in time for the freakin’ weekend. That means you should pack the car with gear, the kiddos, and your GoPro (pics or it didn't happen) and get ready for some fun in the snow! 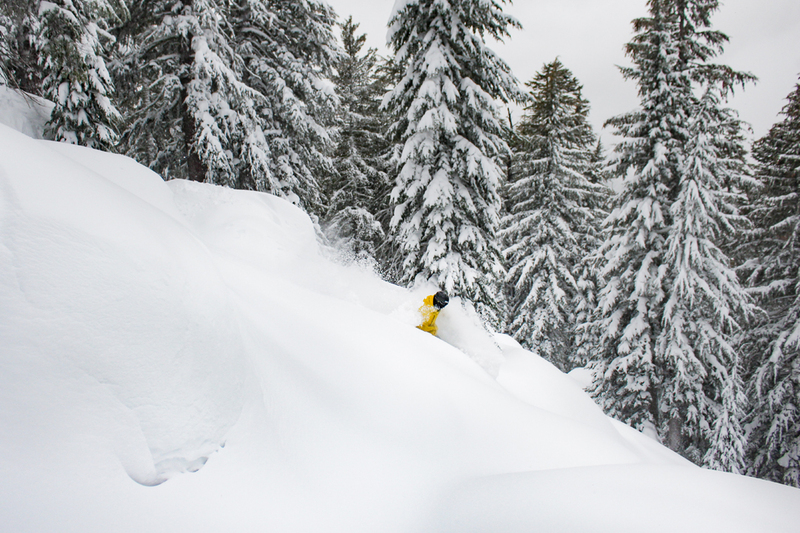 Powder days always get us stoked, but if you’re just starting out, we have something for you. If you’re testing your ski legs and are looking to be one of those expert rippers someday, we fully support that and are here to make your MLK weekend one of learning, enjoyment, and ease. 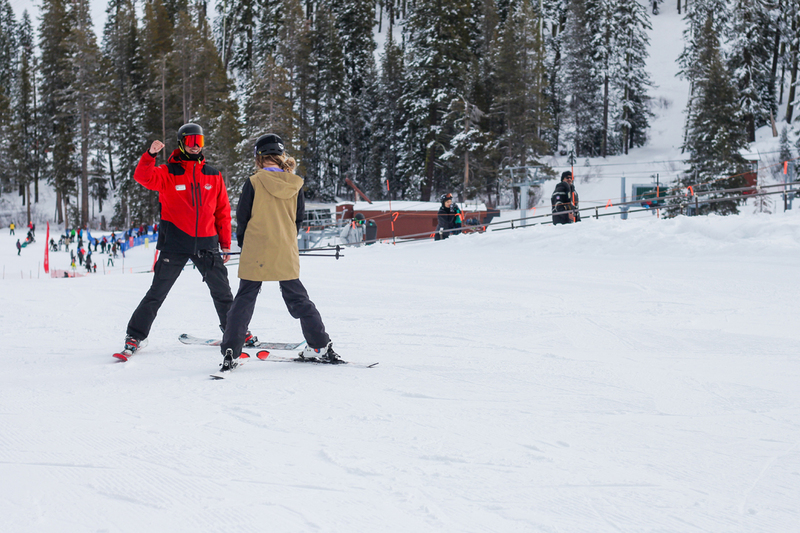 This month, Sierra is offering Learn to Ski + Ride Fridays on both the 18th and 25th of January. Lucky for you, MLK weekend kicks off on the 18th, presenting a perfect opportunity for you to cash in on this awesome deal at the beginning of your trip! For just $79, you’ll get a limited-access lift ticket, rental gear, and an on-snow lesson. The proof is in the powder: if you’ve ever thought about learning a snow sport, now is the time! And if you think the deals end there, think again! Now introducing Level Upgrade . If you’re just getting in the groove with the whole ski + ride thing, you’d be surprised how much you can progress in a full season. Complete a Learn to Ski/Ride 3-PAK and you’ll be eligible to turn it into an Unlimited Season Pass, Season Rental Pass, and more for just $399 . With Level UPgrade , you’ll get additional benefits like a $15 dining credit, a 1-Day Fast Pass, 1-Day Preferred Parking access, and discounts on gear to get you decked out like a real pro. Holy Moly! If you’re an expert skier and have read this far, don’t worry: we’ve got good news for you too. Terrain is being assessed and the call will be made by Patrol to open more when deemed safe (fingers crossed!). The bands of weather are lining up, promising pow days this week and great snow to be had on the weekend! Our event lineup is the cherry on top of your dreamy escape, with live performances by the Cal Berkeley Marching Band and other talented artists in the base area! Whether you’re an expert snowboarder or the mellowest of skiers, it’s going to be an awesome weekend. Come one, come all. You know where to find your fav mountain!